Competition is coming to high speed DC fast charging. Tesla&apos;s primary advantage is a ubiquitous DC fast charging network running at 120 kiloWatts or more, with credible plans to increase the power levels. The problem is that Tesla&apos;s network is proprietary and works only for Tesla&apos;s cars. The other manufacturers use standardized charging protocols (CHAdeMO and CCS) but have been limited in the maximum charging rate. With this new charger, standards-based charging networks can now begin to offer a charging rate high enough to compete against Tesla. 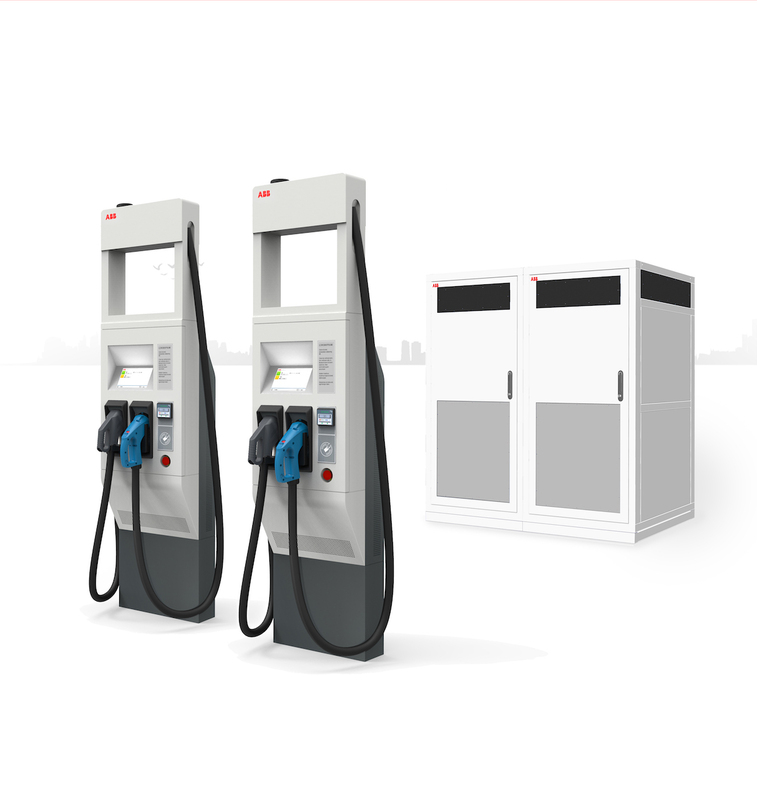 As it continues to roll out high impact Electric Vehicle charging solutions worldwide, pioneering technology provider ABB will launch its new Terra HP High Power Charge system at EVS30 in Stuttgart. With the global number of electric vehicles on the road rising to 2 million in 2016*, the demand for powerful and energy efficient vehicle charging stations is ever increasing. From Stand 43, Hall 1 at the Electric Vehicle Symposium and Exhibition (EVS30) in Stuttgart from 9-11 October, ABB will showcase its newest EV charging solution, the Terra HP, the first 150-350 kW product on the market. Ideally suited for use at highway rest stops and petrol stations, Terra HP’s ultra-high current has the capacity to charge both 400 V and 800 V cars at full power. The 375 A output single power cabinet can charge a 400 V car at full 150 kW continuously. The addition of Dynamic DC power sharing technology, allows a two-power cabinet charging system to charge a couple of EVs simultaneously, with up to 350 kW and 500 A, while dynamically optimizing the available grid connection and the power delivery to the two vehicles. For charging operators, Terra HP provides the additional benefit of ABB AbilityTM Connected Services, which deliver enhanced functionality, including the ability to easily connect chargers to back offices, payment platforms or smart grids systems. More importantly, remote diagnostics, repair and over-the-air software updates, minimize downtime and keep running costs low.